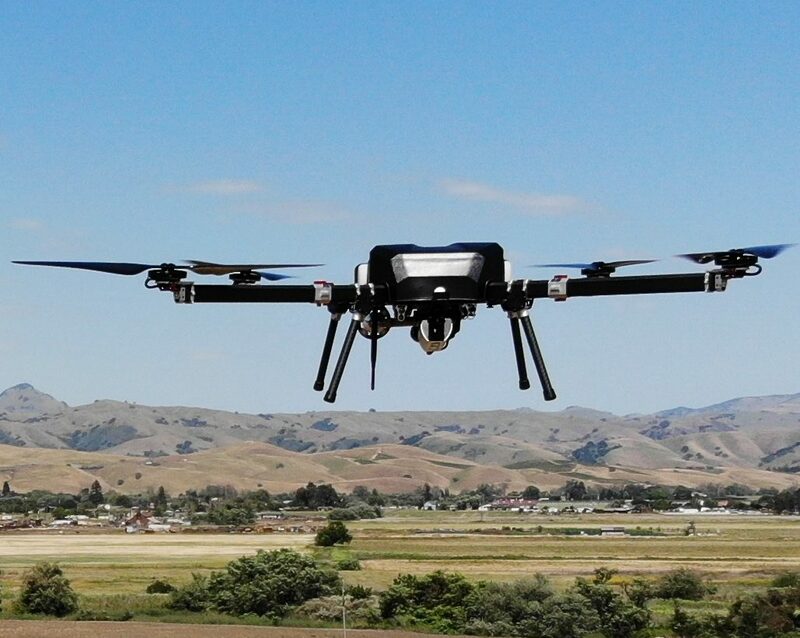 by Brianna Crandall — November 5, 2018 — Perimeter surveillance software solutions manufacturer PureTech Systems has announced its latest capability, which provides for automated dispatch of a security drone to an alarm location. The alarm can originate from sensor sources capable of providing a location, including PureActiv geospatial video analytics, radar, acoustic buried/fence sensor, UGS, access control, contact alarm, or user input. High-resolution cameras, excellent stabilization measures, lighter materials and better battery life have combined to make drones efficient surveillance platforms, says the company. PureTech Systems has leveraged these technology advancements along with its industry leading video analytics and flagship geospatial management system to provide automated security response that includes drone dispatch, flight path guidance to the alarm location, continuously updated drone location, and camera field-of-view on the GIS map, and live video from drone-mounted cameras. Recent technology advanced have made drones a very attractive security surveillance tool, providing an additional layer of automation, detection and response. This integration, allowing for the automatic dispatch of a drone or UAV to a security event, is the first step in what we envision to be a robust technology roadmap, utilizing PureTech Systems’ patents related to airborne operation and detection from moving platforms, our know-how in sensor integration, use of geospatial methods, deep learning and further evolution of drone technology to bring remote security and automation to the next level. The first integration was performed with The Perimeter, a hybrid gas-electric multicopter drone from the company Skyfront. The Perimeter, which boasts a record-breaking five-hour endurance and 100+ mile range, were featured with PureTech Systems’ dispatch-to-alarm capability at customer demonstrations taking place concurrent with this announcement. The combination of the Perimeter drone and PureActiv video management system is a cost-effective, scalable, and fundamentally better way to secure very large installations. Property owners can have eyes on the ground at the site of a breach, miles away, in less than five minutes. We look forward to demonstrating this solution to customers with PureTech Systems. For more information about the new Dispatch-Drone-to-Alarm capability, visit the PureTech Systems website. The Phoenix, Arizona-based company manufactures wide-area perimeter surveillance software solutions including internally developed outdoor video analytics, multisensor integration and a map-based (real object size) command and control. It serves Fortune 1000 firms, petrochemical, water and electric utilities, seaports, airports, and federal, state and local governments nationally and internationally.